An example of this is with the Tracheal tube Introducer commonly known as a bougie, a device used by anaesthetic and emergency physicians during the placement of an Endo tracheal tube in a difficult airway. It is initially easy to think that the bougie is a simple device comprising a length of polymer with a coude angle – used as a guide for the endo-tracheal tube, steering a path through the Larynx, behind the epiglottis and into the tracheal just avoiding the Epiglottis, just above the carina or bifurcation. 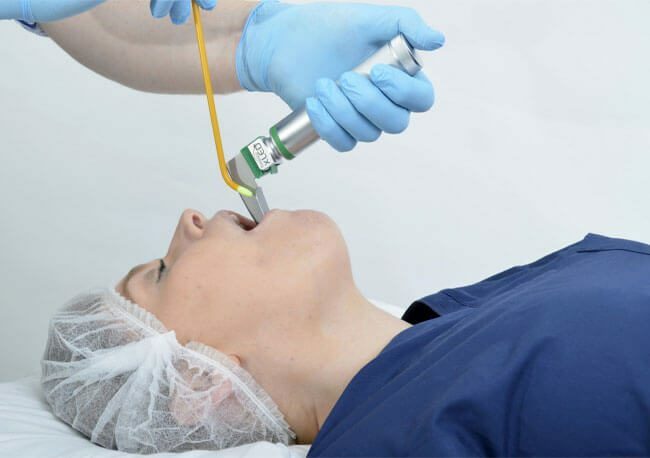 Over a number of years incidents have occurred where the bougie has either perforated the tracheal causing internal bleeding or damaged the larynx causing the patient levels of discomfort. These incidents have not always been detected immediately usually due to associated trauma – and there have been a small number of patient deaths. It has generally been accepted that these injuries have been caused by a number of factors including the difficulty of using previous designs of the device. Mindful of the experiences of clinicians, and targeting the two main areas of concern, Xograph Technologies set about developing a new range of bougies placing a major emphasis on minimising the risk of injury and trauma while combining ease of insertion and placement of the bougie. 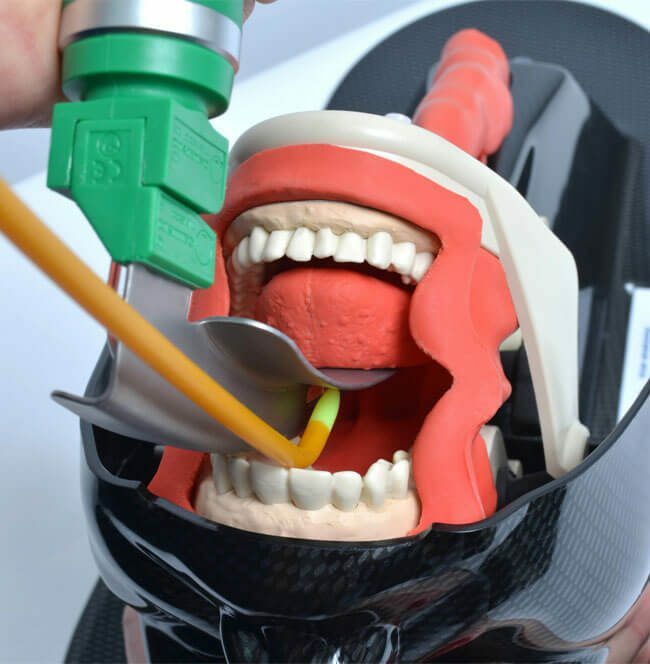 Development started with a soft, fluorescent, deflectable tip, with the ability to illuminate the entrance to the larynx when used with a Laryngeal Handle, thereby greatly assisting the passage into the tracheal. The coude angle has been set to allow the tip of the bougie to gently brush the cartilage rings of the tracheal. The resulting clicks confirms to the clinician correct placement of the bougie in the airway. The main challenge to this development was the bonding of the soft tip. Normal practise for single-use devices would be to solvent bond the tip to the distal end of the shaft. However using solvents could potentially result in the possibility that the tip could detach from the bougie when the endo-tracheal tube is inserted or removed from the patient. To ensure total integrity of this joint, Xograph Technologies designed an injection moulding tool suitable for insert moulding. Their in-house extrusion facilities produce the bougie shafts, which are then placed into the newly designed tooling. The injection mould process then forms and fuses the softer tip directly onto the end of the shaft – giving the new bougie the perfect union between two different materials and ensuring patient safety is maintained. Added advantages of the softer tip are that when passing through the tracheal, the flexible design gently brushes over the tracheal rings reducing the risk of penetration and internal bleeding by deflecting the tip away from the vessel wall. The feedback generated by the softer tip also allows the clinician greater feel when position the bougie within the tracheal. Once the clinician is sure that the endo-tracheal tube is placed correctly, the bougie is removed. The new design ensures that this operation does not cause any unwanted displacement of the tube, as in previous products the removal of the bougie could cause jerking of both the bougie and endo-tracheal tube as it is removed. The likelihood of this happening with the new design has been dramatically reduced due to the characteristics of the unique deflective tip and the reduction in the coude angle makes removal of the bougie a much easier and safer process.